Born in Bari where she obtained a diploma in piano and singing with full marks. At the same time she got a diploma at the art school of her town, specialising in architecture. She made her début in Bari in 1981 at the age of 19, with the “Orchestra Sinfonica della Provincia”, in the oratorios by Vivaldi and Pergolesi. She won the “Concorso Liederistico Internazionale” in Finale Ligure and “Voci Nuove per la lirica A.Belli” in Spoleto, where she made her début in the leading roles of “Elisir d’amore, Don Pasquale and Nozze di Figaro”, directed by Gigi Proietti. In the same period she sang in Sicily, in “Lucia di Lammermoor”, for the Festival Materano in “Nina e Lindor” by G.B. Duni (conductor Rino Marrone”, at the Opera House of Rome in the role of Donna Anna in Mozart’s Don Giovanni (conducted by Peter Maag), also performed in Brescia and Bergamo, together with the winners of A.S.L.I.C.O and Pavarotti’s competition. Besides, she was Sofia in “Il Signor Bruschino” by Rossini and Lauretta in “Gianni Schicchi” by Puccini at San Carlo Theatre in Naples, directed by Roberto De Simone. She sang in the same opera at the Rundfunk in Stuttgart, for the Festival of Schwetzingen and at the Opera House in Koln, where she was Euridice in “Orfeo all’Inferno” by Offenbach, together with Peter Ustinov, with the Suddeutsche Rundfunk Orchestra. With the same orchestra she performed in Rossini Stabat Mater, which was repeated at San Carlo Theatre in Lisbon and in Prague, under the conduction of Professor Zedda. In the same years she recorded a Liederistic programme for the regional RAI. She recorded “Le Maschere” under the conduction of Prof. Gelmetti; this opera was produced by the Teatro Comunale of Bologna, and was performed at Ravenna Festival. She recorded for Philips “Il Barbiere di Siviglia” by Rossini and always with Gelmetti she sang in Montecarlo theatre in “La cambiale di matrimonio” by Rossini. With Philips she recorded Rossini “Guglielmo Tell” in the role of Jemmy, at Scala Theatre in Milan, under the conduction of Riccardo Muti. With him, she interpreted Servilia in Mozart “La clemenza di Tito” in Salzburg, Cherubini “Lodoiska” for Ravenna Festival and Nena in Pergolesi “Lo Frate ‘nnamurato”. She sang in Jommelli “Fetonte” and in Puccini “Bohème”, in the role of Musetta, that she repeated in Venice “La Fenice”, and in Bari at Petruzzelli theatre, directed by Zeffirelli. In Cagliari she was Susanna in “Le nozze di Figaro”, and Serpina in “La serva padrona”. She sang also in Rossini “La petite messe solemnelle” for RAI in Naples (conductor A. Zedda). She sang in Losanna in Rossini “L’occasione fa il ladro”, conducted by B. Campanella and directed by Ponnelle. She recorded for RAI “Das Fledermaus” by J. Strauss, in the role of Rosalinde; in London she recorded for Claves “l’inganno felice” by Rossini.She was the leading soprano in Offenbach “Barbablu” in Bologna, Piacenza and Reggio Emilia. She was Norina in Donizetti “Don Pasquale”, Nedda in Leoncavallo “Pagliacci” and Fiordiligi in Mozart “Così fan tutte”. 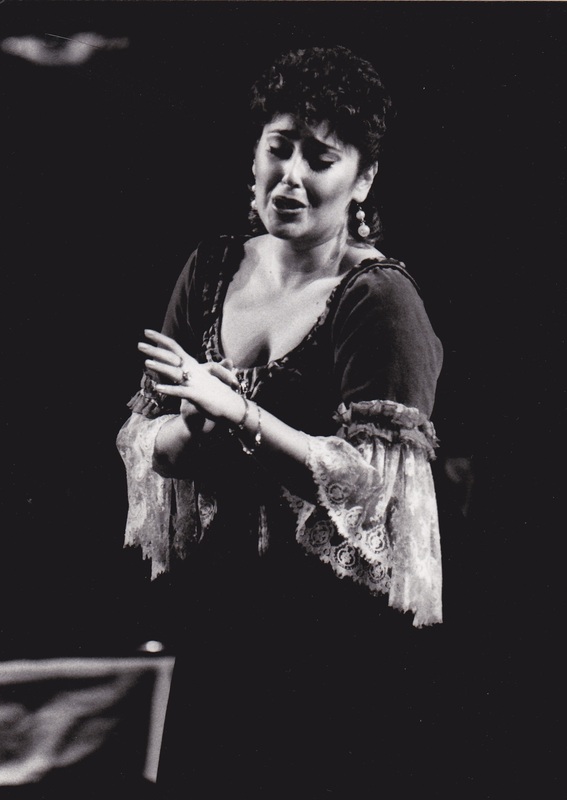 In Malaga and Santa Cruz de Tenerife, she made her début in the role of Mimì in Puccini “La Bohème”. She sang in the role of Amelia together with Renato Bruson in “Simone Boccanegra” by Verdi at the Regio theatre in Parma, Comunale in Modena and Comunale in Reggio Emilia. At the Opera House of Rome, she was the feminine interpreter of Verdi “Vespri Siciliani”, in the French version, and Manon in “Manon Lescaut” by Puccini in the theatres of Brescia, Cremona, Piacenza and Modena (cundoctor Prof. Arena). She was Elisabetta in “Don Carlo” by Verdi, with N. Ghiaurov; for Verona Arena she played Amelia in “Un ballo in maschera” by Verdi, conducted by Daniel Oren. Recently she performed in Aida for Dresda Festival and she sang in the role of Elvira in Verdi “Ernani” for Teatro Massimo in Palermo (conductor Prof. Arena). She sang for the Festival of Santander in “Messa da Requiem” by Verdi, repeated also in Zagabria. She was the soprano in Verdi “I due foscari” in Bergamo, with Renato Bruson. Recently she sang in Rossini Stabat Mater with Prof. Gandolfi at the Auditorium G. Verdi in Milan. 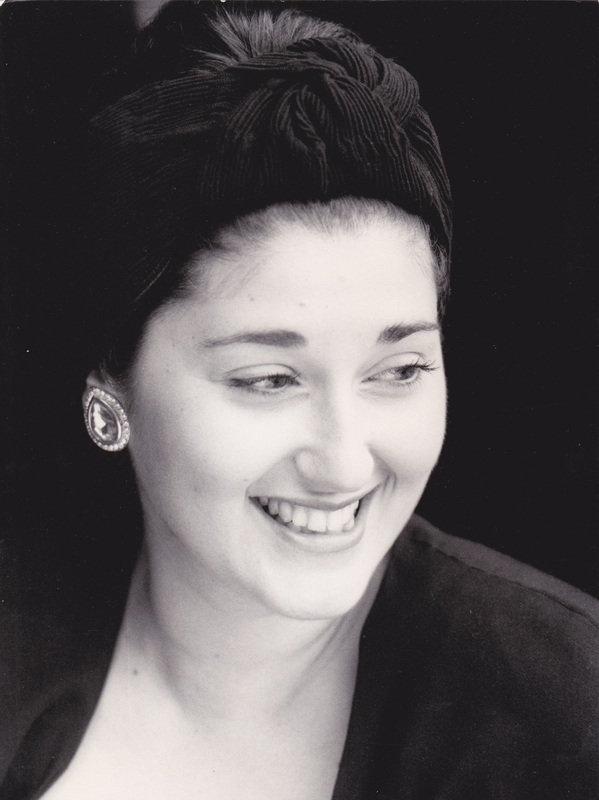 She teaches Chamber Vocal Music at the Conservatory “Tito Schipa” in Lecce. She has been teaching for 8 years and thirty of her students have won several international competitions (A.S.L.I.C.O., Strawinsky etc.). After twenty years of passionate opera activity, she has chosen to devote herself to her favourite kind of music, that is to say chamber music. This is a genre in which she can combine her specific abilities and knowledge of pianist and singer. Moreover the curiosity for a so wide repertory and the precious collaboration of some great actors such as Leopoldo Mastelloni, Michele Mirabella and Elio Pandolfi have driven the singer to study in depth this genre which is not known in Italy. With regard to this, she collaborates with Cinzia Maurantonio (piano) and Domenico Del Giudice (guitar). She is close to record several works by Castelnuovo – Tedesco, Malipiero, Martucci, Poulenc. During these years she has been awarded several times, and she has been considered as one of the most successful Italian singers (Targa d’oro Mario del Monaco, Targa d’oro Beniamino Gigli, Premio Speciale Arena of Verona, Targa d’Oro Tullio Serafin, Premio Nino Rota etc. etc.). Copyright © 2019 Amelia Felle. All Rights Reserved.